Obtaining Medicaid eligibility for a married person can often be done preserving all of the couples’ collective resources. When this planning is done, it is critical that the caregiver spouse’s estate plan be carefully considered so that, should the well spouse die before the Medicaid applicant spouse, that assets left to the applicant are held in such a way to maximize the opportunities for care for the applicant spouse. If the assets are left outright to the applicant spouse, they will supplant the benefits being received from the government. The applicant will no long be eligible for benefits and whatever is left to the applicant will pay for the basic care. Instead, if the assets are left in a qualified special needs trust, the applicant will remain on Medicaid and the assets will be used to provide for supplemental needs such as a private room, additional nursing services, favorite foods, and travel expenses for family visits. Sometimes families suggest simplifying the caregiver spouse’s estate planning by merely eliminating the applicant spouse from the estate plan. However, this suggestion poses some serious legal issues. First, unless the applicant spouse waived rights in a pre or post nuptial agreement, a spouse has a vested interest in the estate of his or her deceased spouse under Florida’s elective share laws. When a person applies for Medicaid, he assigns to the state all causes of action that he or she may have in exchange for the payment of the costs of care. 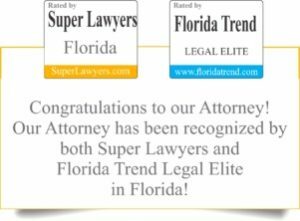 Therefore, the state of Florida would own the interest that the applicant had in the estate of the caregiver spouse. The state of Florida could thwart such an estate plan unless the required elective share amount is left to the Medicaid applicant. The qualified special needs trust must be a part of a last will and testament and cannot be included in a revocable living trust. While probate of the document will be required, the costs of this probate will be far less than the monthly cost of the nursing home care. In addition to a Will with a Qualified Special Needs Trust, the caregiver spouse’s documents will also need to name a fiduciary who will be able to act for him or her should the caregiver become incapacitated. Most spouse’s documents name the other spouse as the principal fiduciary. If the spouse is ill or mentally incapacitated, he or she will not be able to perform the functions of an agent under a durable power of attorney or those of a heath care surrogate. The caregiver spouse will need to consider and name an appropriate fiduciary to make decisions. Many caregiver spouses consider long-term care insurance for themselves after observing the dire financing needs of their spouses. We assist our clients locate the appropriate policy to meet their needs and budgets.